Just back from three weeks in South Africa and catching up on some retro-blogging. The main thing we did was get to know the locality: lots of walks along the beaches and in the local nature reserves plus trying some new restaurants and wineries. Dirty job but someone has to do it. 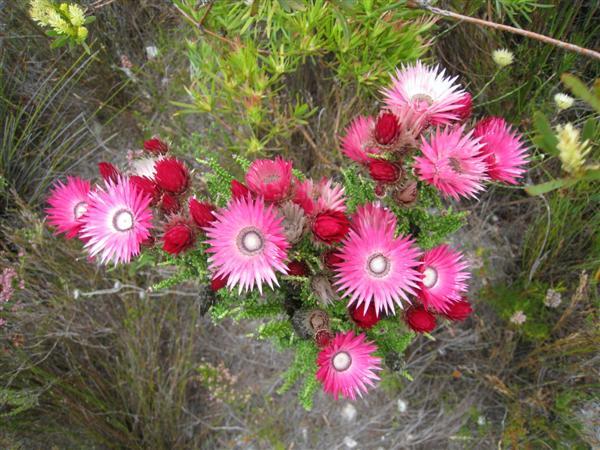 As part of the Kleinmond Fynbos Festival they advertised a walk in the Kogelberg Nature Reserve. So we turned up and were the only takers. 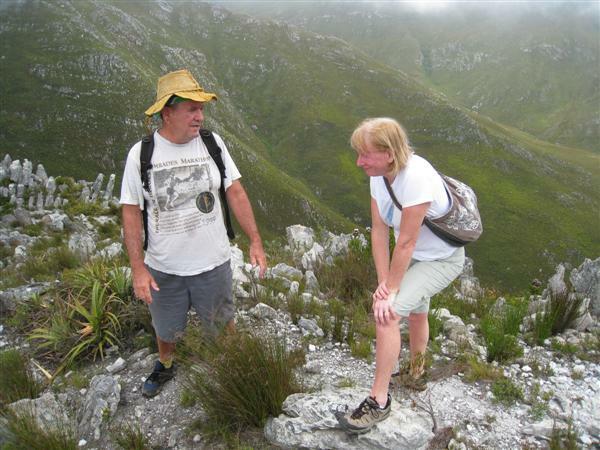 We did a five hour walk up 634 m (2080 ft) to the Three Sisters ably guided by Klem Dunstan. 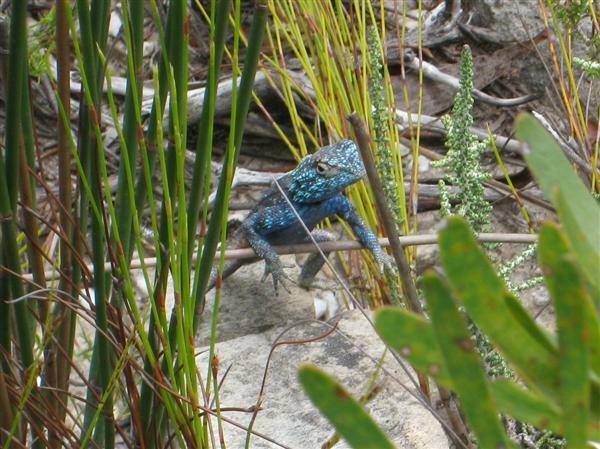 The flora was particularly amazing plus we had the added bonus of this lizard chap. 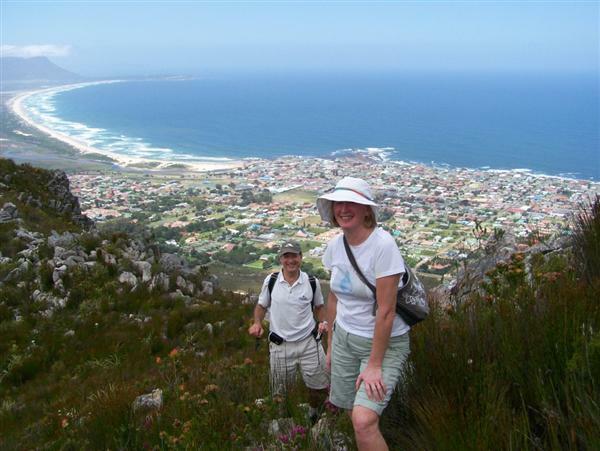 If you are interested in a local guide Klem's contact details are: klem@cybersmart.co.za, +27 (0) 832 980 654. It looks absolutely breathtaking. Wow. Love the lizard!